A. Please allow at least one hour of your time. A. No it shouldn’t! The technique is firm but gentle pressure on the feet. A. The number and frequency will very much depend on the needs of the individual, and on the nature of the problem. Q. Can Reflexology make my condition worse? 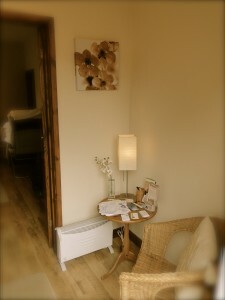 A. I am a trained and qualified Reflexologist and I am also a member of Professional Reflexology. I would always advise against treatment should there be a contra-indication to treatment. Q. I am taking prescribed medication, should I continue to take this whilst receiving Reflexology? A. Yes, you should. Complementary therapies like Reflexology work with and do not hinder conventional medicine. Q. What can the Reflexologist feel in my feet? A. The skilled Reflexologist can feel what is best described as a ‘map’ of the body, and through this we can treat the client accordingly. Q. Can Reflexology be painful? A Occasionally, if a reflex point needs particular attention, you may feel a momentary twinge or sensitivity. However, by gentle and effective treatment the outcome will be positive.